Woodworkers may be aware of the danger of their field, but unexpected hazards still exists when employed in this industry. Just imagine that every day you will likely be exposed to fungi, adhesives, oils, noise, and chemical additives among others. Fine Woodworking Winter 1977 issue revealed that allergies, respiratory problems, toxic woods, and skin irritation might root from the woodwork. This is why an ongoing campaign on woodworking safety is often enforced to craftsmen. Even if you have a great miter saw or other related equipment, it is always imperative to wear your safety accessories. It may be an obvious rule, but many still forget how important it is. Gloves, ear protection, goggles, and a dust mask will be useful for your field. As a general rule of thumb, you should always have your safety glasses handy. You should also don the right clothes that are not too baggy and are free from additional accessories every time. It has always been dangerous to mix woodwork and alcohol or drugs. If you are under the influence of either of the two, you should stay out of a job. When working with power tools, avoiding the temptation to take drugs or drink alcohol is the best means of keeping yourself from problems. According to Health and Safety Legislation, an employee should ascertain that he or she is not intoxicated, as this may endanger even other people around. To guarantee that you will be able to control woodwork machines effectively, your place must have good lighting. It is also necessary that the placement will not cause excess shine on your eyes. Reflections or glare must be avoided as this can result to injury or accidents. Given that you will use a wood router together with other power equipment, you should utilize one heavy-duty extension cord. This will provide you the advantage of not leaving any tools open. Furthermore, multiple wires may only cause trips or confusion issue. If your work is concentrated on cutting wood, you should know the rule in handling the equipment. It is always crucial to disconnect the power prior to changing blades. 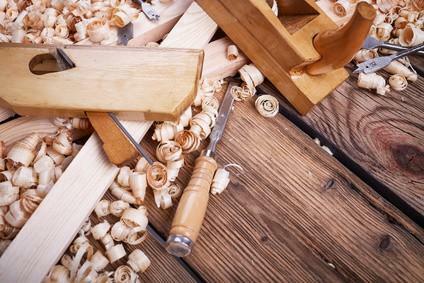 The Consumer Product Safety Commission found out that the table saw injured over 67,000 woodworkers just in 2013. This incident serves as a warning that handling any tool must be done with precaution all the time. By impulse, you will attempt to remove wood cut-offs by hand. You should prevent this until the blade has finished operating. Nonetheless, machines can also malfunction. Do not put your hands in proximity right away. For the safest option, use a stick to push the waste. Care must be practiced in utilizing both blunt and sharp tools. Always ensure your cutting tools are sharp to deliver short and quick cuts. Otherwise, you will encounter a kickback or bind on a blade. Apart from a well-lit working environment, you must ensure that it is free from clutter. Liquids should also be wiped off instantly to keep the floor non-slippery. Trips, falls, and slips will be prevented given good housekeeping habits are enforced. Simply follow the given tips above and comply with your company’s regulations for the safety of everyone when working with woods. In such way, you will not only protect yourself but also your co-workers from injury and accidents. Operations will even be more active and not intruded by problems.